Established in 2010, Davley Organics strives to create a greener future for all. Davley Organics with the assistance of its unique work force, uses a windrow vermiculture system. Vermiculture is the conversion of organic matter into an extremely fertile fertiliser and soil conditioner with the use of Tiger Earth Worms, commonly known as Red Wigglers (Eisenia Fetidia). The process involves the digestion of organic matter by the wriggly workforce and the resultant production of two fertlisers. Vermicast, the solid fertiliser, and Vermileacheate, the liquid extract commonly known as “worm tea”. The growth of Davley Organics has been rapid and consistent. Operations include a host of specialized machinery. 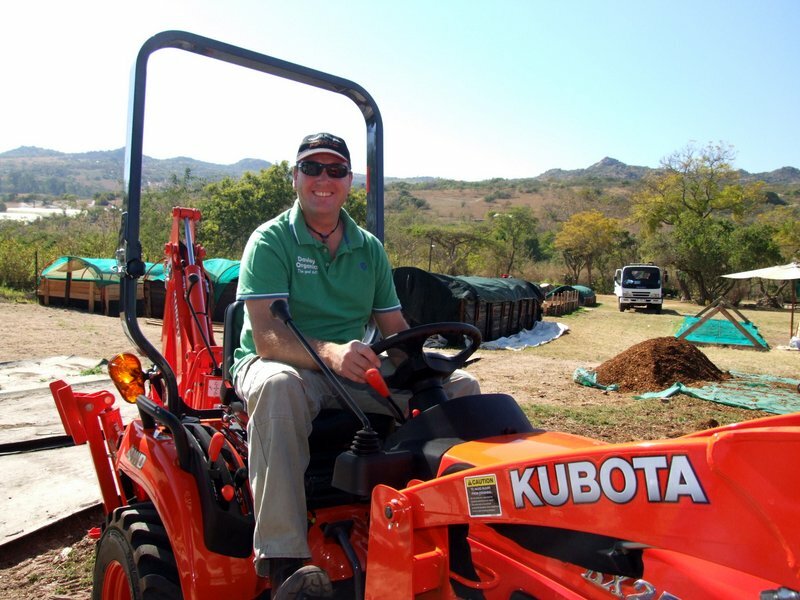 As a bulk suppler, Davley Organics cater for the organic fertilisation and soil restoration needs of a variety of commercial concerns in Mpumalanga and further afield. These include, fruit, nut and veg production, landscaping and the retail garden market with steady expansion towards Johannesburg and the Highveld. Davley Organics strives to meet the needs of all our clients. Vermicast is supplied by the cubic meter with retail orders for supply available in an option of 40 dm bags and commercial orders in 40dm bags. Vermileachate (Worm Tea) is available per 200l barrel. Davley Organics is committed to greening the planet one handful at a time! Every farmer, landscaper, nursery and gardener we convert to using vermicast with its sustainable soil building properties, we see as a huge step forward in improving the soil quality and plant life of the planet. In addition to helping farmers and gardeners alike, Davley Organics has aspirations of expanding its operation and its involvement in local communities where unemployment is a huge cause for concern. Educating people on how implementing natural methods and building healthy soil can benefit their cash crops and food sources. The long term benefits of vermicast added to poor soils are that they will not only be rehabilitated to produce better crops but it will also bind the soil and improve its water retention properties which in turn will reduce soil erosion, a major issue in Africa. Earthworm farming has a host of recycling benefits. Earthworms have an amazing ability to recycle , detoxify environments and rejuvenate naturally what would be near impossible to achieve by man alone. Organic wastes like manure, paper and food waste can all be cleared and fed to the worms to provide compost for food sources and in turn creating a cleaner community for all. Davley Organics is growing from strength to strength and with dedicated focus on producing a premium product at an affordable price keep an eye out for us at a nursery near you. Ask for a quality product that stands for a more sustainable future, a greener healthier community.